After a run to two grocery stores to purchase more junk food than we should be eating in a month, I turn on the TV to watch the Super Bowl. I enter the channel number of the local Fox station. The screen remains black. A few seconds later, a blue box proclaiming "Poor signal quality" graces the screen. I grab the antenna and try holding it in a variety of positions. The screen remains black. 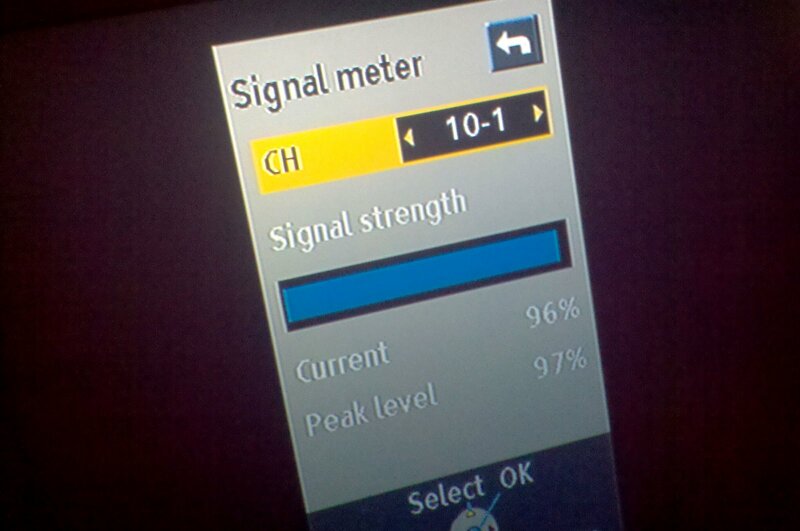 I check the signal quality meter and it reports receiving a signal that should be good enough to receive the program. I try disabling all parental control settings. Still no picture on the channel airing the Super Bowl. Other channels come in fine. I make a run to the store, and buy another antenna and a longer cable so that I can try positioning the antenna away from the television. The new antenna doesn't fix the problem. I put the antenna outside and get a strong 97% signal strength. Still no picture. I try rebooting the TV by unplugging it, and then plugging it back into the power outlet. Still no picture on channel 10. Now, I've also got no picture on channel 8. The problem has spread. All but two channels display. 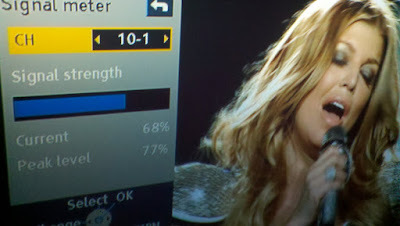 The television shows a strong signal for the two groups of channels with "Poor signal quality." I use the "manual" configuration options to remove and add the channels back into the television's channel line-up. Still no picture. Finally, I set the television to clear and rescan all frequencies for channels with a signal. At the end of this time consuming scan, I set the TV back to channel 10. The Black Eyed Peas appear. I have picture. I have sound. Just in time for the end of the half-time show. Where's the manual override?! On Star Trek there's always a manual override!